Every fan of Black Metal respects bands that have influenced Black Metal to the core, such as Mayhem and Darkthrone. Still, there is comparatively little mention on the bands which served as their inspiration. Had these bands never existed, the genre would not be as we know it today, or even may have never appeared at all.  This tribute, to be presented in series, is on bands of the first wave of Black Metal. The first part is on Hellhammer and Celtic Frost, two bands so influential, that actually lay the foundation of the genre. Hellhammer were formed in 1982 by Thomas Gabriel Fischer (a.k.a. “Tom Warrior”), Urs Sprenger (a.k.a. “Steve Warrior”) and Pete Stratton. Stratton was soon enough replaced by ex-Moorhead drummer Bruce Day. Despite that Hellhammer were short-lived (2 years only), their hard sound and lyrics brought about an influence that was great enough. It is said that Fischer aspired for the band to sound like Venom, but far more heavy and aggressive. Fischer was actually frustrated that other bands, having themes as satanism, death and destruction, were merely posing as evil. As Fischer stated, his lyrics was an expression of the opinion he had on mankind. In essence, what Fischer wanted was to express his real feelings with his music. The first demo of the band, “Death Fiend”, containing 9 tracks, was recorded in June 1983. At this point, Hellhammer were already popular in their own country. As far as the rest of the world was concerned though, they were totally unknown. Their second demo, “Triumph Of Death”, was released in July 1983 and made a breakthrough in the eyes of the underground scene throughout the world. Sadly, the outsiders of the underground were not so enthusiastic about it. Despite that, it became the most sought after demo in tape trading circles since Metallica’s legendary “No Life ‘Til Leather”. That period was full of changes for the band. Firstly, the members decided to perform under pseudonyms, what is nowadays the main practice in Black Metal. Fischer was from now on “Satanic Slaughter”, Steve Warrior chose “Savage Damage” and Day was named “Denial Fiend”. The increasing popularity of the band was not accompanied by stability to Hellhammer’s line-up. The main change was the removal of founding member Steve Warrior from the band, due to what Tom Gabriel Warrior subsequently described as his “lack of dedication” to the band. The last addition to the band was Martin Eric Ain (a.k.a. “Slayed Necros”), who contributed ideas, concepts and lyrics to the band right away. The new demo “Satanic Rites” (1983) contained 10 tracks and was a limited edition, totaling 200 copies. 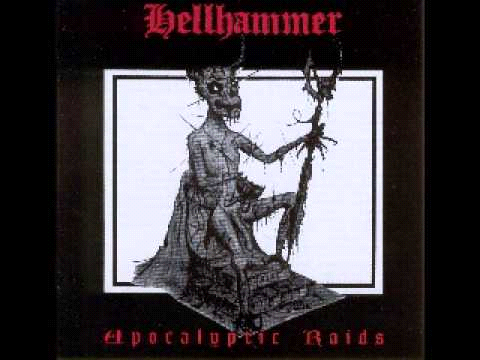 This time, things were ever better for Hellhammer: the German label Noise Records offered Hellhammer a three-year record deal and the band hit the studio again in February 1984.Their offering was a EP under the name “Apocalyptic Raids”, with four new songs and two old, released in March 1984. Despite that the global fan base was getting bigger and bigger, shocking news was announced in May 1984: Hellhammer were disbanded, because Tom and Martin felt that the musical concept of the band was too week to continue. But nothing was completely over – from the ashes of Hellhammer, Tom and Martin created another band: Celtic Frost. The newborn band was determined to be even more successful than Hellhammer. This got achieved with the EPs “Morbid Tales” (1984) and “The Emperor`s Return” (1985), the impact of which is major. The band had evolved in every way, which was evident in many aspects. The songwriting itself evolved, resulting in some songs becoming hits instantly. The lyrics were inspired by writings of great personalities, such as H.P. Lovecraft, Alister Crowly, Robert E. Howard and Charles Baudelaire. Most importantly, Tom developed his vocals to the point of it becoming his trademark. Early 1985 the band acquired a new drummer, Reed St. Mark, and the line-up took its final form. The next album was a full attack, and perhaps even the magnum opus of the band: ”To Mega Therion”(1985). This album was epic, to the point that orchestral instrumentation was added. It became a major influence not only to Black Metal, but to every extreme genre. The cover artwork “Satan I”, drawn by H.R. Giger, was one of the most important things for the band as Tom said. It graphically reflected their music to the point that it became in essence an emblem for the band. Something to be noted regarding this album was the fact that Martin had not recorded the bass at that time, even though he was actively contributing to the song writing (music, lyrics, track order, visual content, he even chose the name of the album). His relationship with Tom was cut off for a short time, but soon enough, he returned to the band. The proof of their true friendship, was their next EP under the name “Tragic Serenades”, which contained songs from “To Mega Therion” with Martin`s basslines. To be noted, the production of the EP`s had also been improved. After the second successful tour in Europe and North America, Celtic Frost returned with a new album in 1987. This album, under the name “Into the Pandemonium”, pushed the boundaries of the extreme music even further. That was the first time the band had experimented so much in their sound. 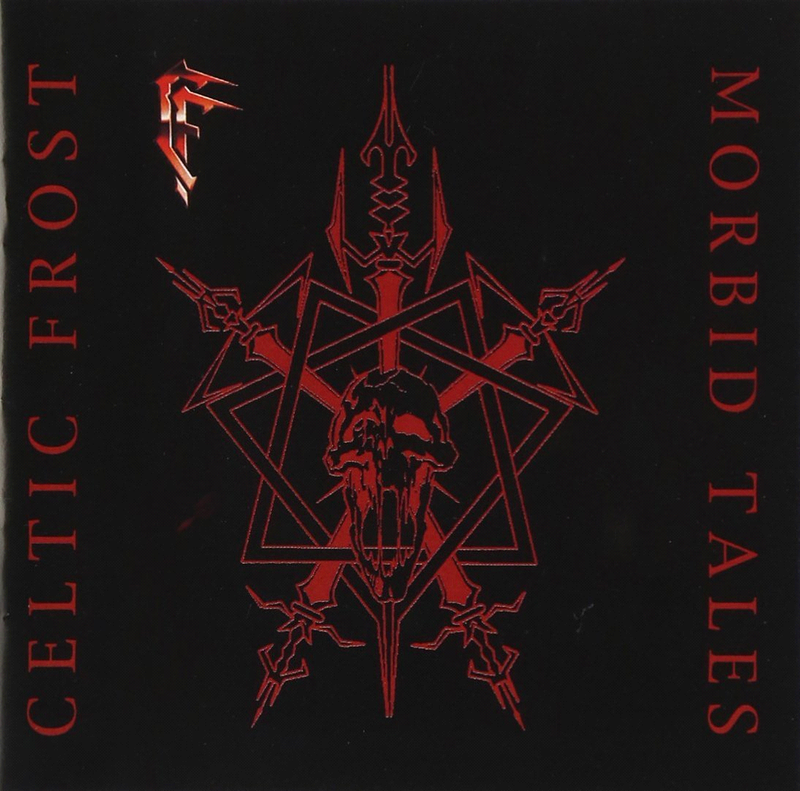 Influences of new wave bands such as Bauhaus, Siouxsie and the Banshees and Wall of the Voodoo (the opening song “Mexican Radio” is actually a cover from them), were merged with the old elements of Celtic Frost. 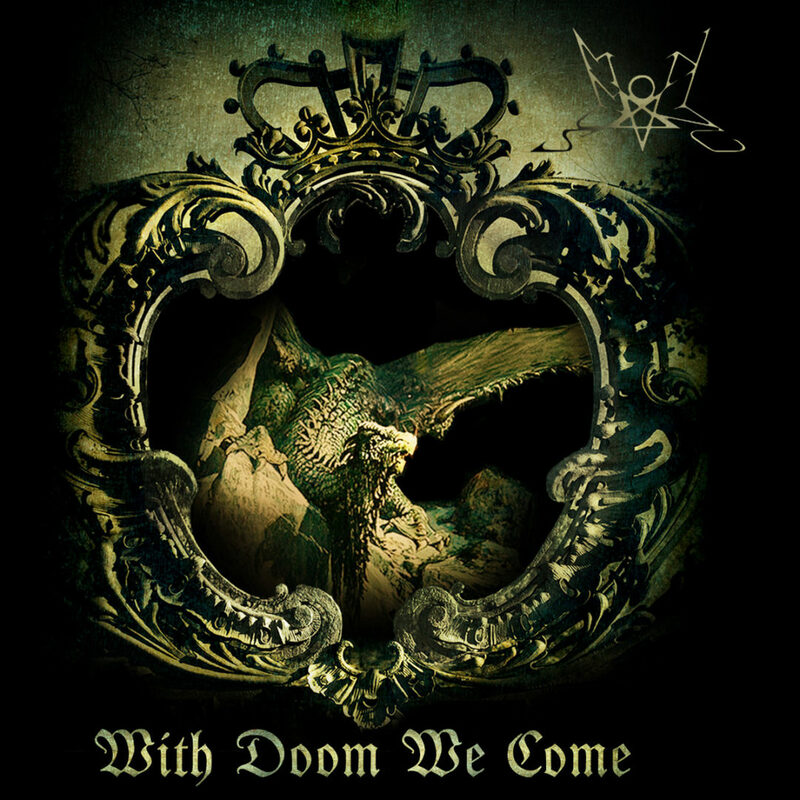 The album`s genre is sited as Avant-garde Metal, while their previous work was categorized as Thrash / Black Metal. The band toured South America and, in order to ensure perfection on live performances, they hired another guitarist. But things did not go well for the band: financial problems and tension between the band members emerged. As if that were not enough, there was tremendous pressure applied on the band by the – more than a year ongoing – disagreement between them and their record company, regarding their musical style and artistic freedom. All this led inevitably to the split-up of the band. In the following years, the band kept trying to come back to life with changes to the line-up. After the initial split-up, Tom regrouped with new musicians. The musical outcome was “Cold Lake” (1988), which, as a mix of glam and heavy metal, was a generally admitted disappointment. Two years later, Martin returned to the band and recorded “Vanity/Nemesis” (1990) (with two covers, David Bowie`s “Heroes” and Bryan Ferry`s “This Island Earth”), a widely regarded strong comeback, though failing to restore the band`s former status. There followed a compilation album “Parched With Thirst Am I And Dying” (1992), and a studio album “Under Apollyon`s Sun”, which wasn’t completed, because the band split up again. 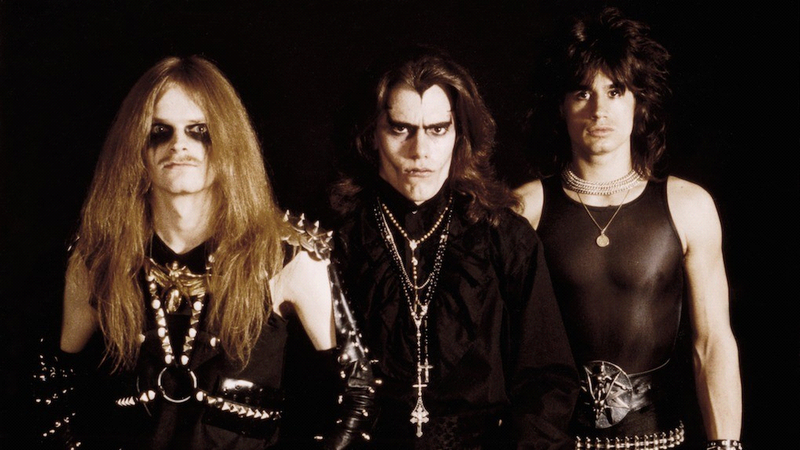 But nothing was completely over for Celtic Frost: the band made a successful comeback with the album “Monotheist” (2004), with Martin on bass, Franco Sesa on drums and Erol Uena on guitars. The album received many positive reviews and Celtic Frost made the biggest and most expensive tour ever. 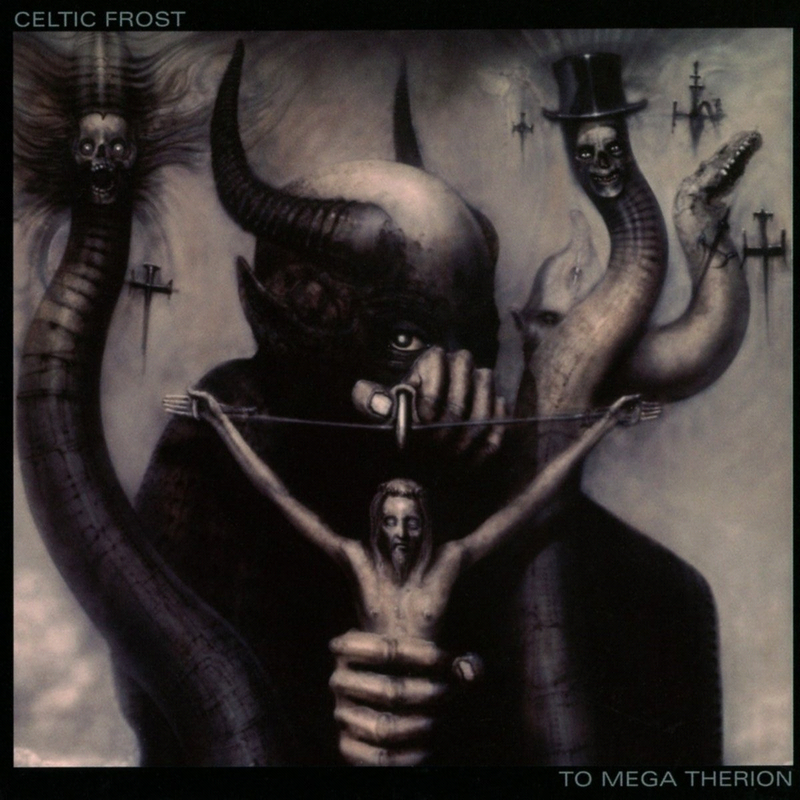 However, the band split up again for good when Tom pulled out “due to irresolvable, severe erosion of the personal basis so urgently required to collaborate within a band so unique, volatile and ambitious”, despite the fact that he was working on a new Celtic Frost album (these songs were included in the first album of Tryptikon). The band did not continue without him. Many years later, in 2017, Martin died from a heart attack, and with him died the chances for a reunion.